We may never know what is going on in the mind of a caterpillar. What we do know is that its singular purpose seems to be the devouring of every leaf in its path until such time that it stops eating, hangs himself upside down and spins around itself a silky cocoon. Within about two weeks, the caterpillar breaks out of its self-imposed prison emerging as a beautiful butterfly. FIRST, it’s about devoting our time to nourishing our minds with the word so that we can go through our own metamorphosis. Peter said, “As newborn babes, desire the sincere milk of the word, that ye may grow thereby:” [1Peter 2:2] He uses the metaphor of a newborn babe to express the same idea, that of devouring the word of God to grow and to change. THE SECOND typical lesson is about transformation. Romans 12:2a states; “And be not conformed to this world: but be ye transformed by the renewing of your mind,” The Greek word ‘transformed’ is ‘METAMORPHOO’ which means to change. 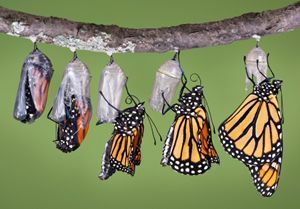 Just as the caterpillar goes through a metamorphosis, we also go through a transformation through the ‘renewing’ of our minds. This involves taking what we have devoured of the word and pondering it, thinking on it and learning it so that it causes that renovation of our mind. THERE IS ANOTHER LESSON we can learn from the caterpillar, it is the lesson about sharing. You see, the butterfly acts very much like bees in that they are pollinators for plants. Without the likes of these creatures, there would be no plants, no flowers and no food. In addition to this vital role, they are beautiful and share with us the splendor of God’s handiwork. The lesson on sharing is, for me, the more fantastic of the lessons. The key to incredible and lasting growth is to share what you learn. Sharing has a certain transformative effect on the one doing the teaching. As scary as it is, talking to people about God, Jesus & the Word has a powerful effect on your own personal growth. When you teach 10 separate people about the Gospel, they only hear it once, whereas you get to HEAR IT 10 TIMES! Every telling of the Wonderful Story of Love strengthens the next. Another incredible benefit to you is when they oppose you with their denominational views. In your struggles to learn how to answer each one [Col 4:6] you become even stronger and more knowledgeable. These are the keys to lasting knowledge; teaching it and defending it. Each time you share the Good News, not only will you continue to be transformed, but the other person may as well. You may have caught them at the right time or because of your own relationship with them your words penetrated their otherwise closed heart. Why else should we develop the transformative mindset? In the same principle that tells us to use it or lose it, it also teaches that we shall receive even more than what we already have! The amazing thing about teaching is also found in love. It’s said that to receive even more love you must give it. The more you give, the more you get of love AND SHARING. The bigger & better you get enables you to give even more, and the more you give, the more you will receive. God, speaking through the prophet Isaiah, was very angry with His people because of their poor choices. It wasn’t as if He hadn’t given them clear direction on making good choices. God gave them, and us, all that we need for life and godliness [2Peter 1:3]. Look at what He spoke to the children of Israel about repentance and turning back to Him. 1-10 God had given clear direction to the children of Israel before He brought them into the land. If they chose to obey His commands, He would have compassion on them, protect them from their enemies and give them prosperity. 11-14 He tells them that His commands are never too difficult, never too far away, but are accessible by all so that they can keep it. 15-20 Here He makes a contrast between the BEST CHOICE and the worst. To Love the Lord thy God is the BEST CHOICE, and to walk in His ways and to Keep His commandments, statutes and judgements. By this He gives a promise of blessing. However, by making a BAD CHOICE, that is, to turn away from hearing His commands, to worship false gods, then He will DENOUNCE them, remove His protection and not allow them to keep the land. In verses 19-20, He makes it clear about the two basic CHOICES. Life is to CHOOSE GOOD, which is serving Him, or CHOOSE BAD, which is death. Choosing wrong is a matter of life or death. THESE 2 BASIC CHOICES ARE STILL BEFORE US. Peter said, “We ought to obey God rather than men” [Acts 5:29]. Jesus said, “If any man serve me, let him follow me; and where I am, there shall also my servant be: if any man serve me, him will my Father honour” [John 12:26]. Do you see the connection of God’s blessing to the one who follows? Don’t be confused, all this is to point out that we have free will. Just because we have choice doesn’t mean that God will accept that choice when we go against His commands. We can choose to ignore them, and when we do, we will pay the consequence of our BAD CHOICE. God is not, as some suppose, a micro manager. He isn’t deciding whether you go to a specific place or another. He is letting you make those decisions. Those TWO BASIC CHOICES are ever before you. To do GOOD or to do BAD. WHAT ARE PEOPLE THINKING? How come people don’t understand God’s will? We tend to tell people what is good in our own minds, rather than finding out what truly is good. 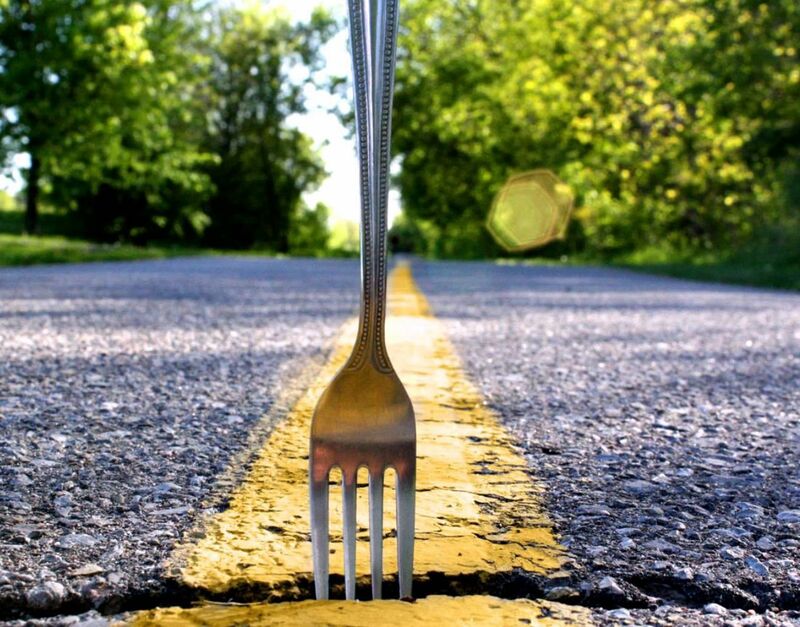 In life, there are two kinds of attitudes, a right one and a wrong one. God has said that we should have an attitude that desires to read His word. Reading the Bible is an important task. It is so important He had it written so we can understand His will, and His commandments. 1Co 2:12 “Now we have received, not the spirit of the world, but the Spirit who is from God, that we might know the things that have been freely given to us by God.” Also in Eph 3:3-5 “How that by revelation He made known to me the mystery (as I have briefly written already, by which, when you read, you may understand my knowledge in the mystery of Christ), which in other ages was not made known to the sons of men, as it has now been revealed by the Spirit to His holy apostles and prophets:” We need to read or hear, we need to know, what God’s Word says, for it reveals His will for us. 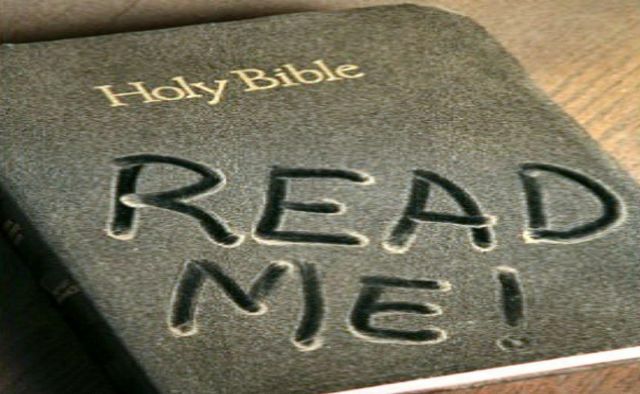 Everybody’s destiny will be determined by whether we understand and obey those words, the Bible. To meet fulfilling this command we need to have the right attitude. It is our attitude which will determine whether we understand. In Matthew 13:3-8, the Parable of the Sower, Jesus taught about different hearts or attitudes toward the Word of God. The seed, which is His word, fell on the wayside, some among rocks, some among thorns and some upon good ground. In 13-15, we find the meaning. Some cannot understand because of closed ears, eyes, and minds, Jesus explains. It states, Mt 13:13 “Therefore I speak to them in parables, because seeing they do not see, and hearing they do not hear, nor do they understand. And in them the prophecy of Isaiah is fulfilled, which says: ‘Hearing you will hear and shall not understand, And seeing you will see and not perceive; For the hearts of this people have grown dull. Their ears are hard of hearing, And their eyes they have closed, Lest they should see with their eyes and hear with their ears, Lest they should understand with their hearts and turn, So that I should heal them.” It’s possible, with a wrong attitude, to read the word of God and be wrong because we’re not seeking to discover what He wants, rather we seek to find what we want to find. Jesus applies the prophecy from Isaiah to the religious people of His day. They had preconceived ideas about the Christ, since Jesus did not fit their beliefs, they rejected and crucified him. Why did they not understand? It was neither because God’s word was incomprehensible nor because the teacher was incapable of teaching. The reason was because of a wrong attitude? Their preconceived ideas of a savior, didn’t match with the word of God about His Anointed one. Neither will we understand if we approach Bible study only to prove what we already believe, or want to believe. What you or I do with Scripture is dependent on our attitude. We need a plan. We need a way to start off with a right attitude. Your attitude determines your understanding which springs to action and it is action the Lord seeks. Set up a time where you can read your Bible, take time to reflect and think of what is God trying to communicate rather than searching to make His word fit your belief. Determine what is involved with obeying His commands, and then plan to do it. Will you be like those in Acts 17:11? Will you also learn from these people at Berea who searched the Scriptures daily? The people searched. This is what we do at Franklin St. Church of Christ. Join us by reading, studying, and practicing the commandments of God. Let us find this right attitude. What is the key to effective evangelism? IS THERE A ONE WORD ANSWER to getting more bible studies? The key to evangelism is not probing, listening, preaching, talking, assessing, pain, and especially not manipulating. The key that opens the heart is HARMONIZING. But you’d never know that from most or our actions. Evangelism is about understanding the other person and their needs. Their fears. Their desires. And their sense of need for the Gospel. People have different motives to respond, and it’s the evangelist’s job to uncover them – and harmonize with them. REALITY: No two opportunities are alike. Ever since becoming a Christian, I’ve searched for magic verses, those one or two passages that answer every error. I’ve collected tracts with hopes that these one sheet papers could somehow win souls without much difficulty or controversy. And I’ve tried different methods & systems designed to lead people to obey the Gospel. Unfortunately, there’s no “one size fits all” tract, verse or method. It’s not that these can’t work, rather that they don’t always work. What I’ve found is that I focused too much on getting through the material rather than focusing on and HARMONIZING with the individual. One instance, a person had asked a specific question, though I knew the answer was much deeper, they couldn’t hear it. I never heard from them again. No one tract, verse or method will work all the time — BUT specific elements of any may apply. I’m NOT saying don’t learn the tract, verse or method — all Bible knowledge is valuable. What I am saying is be yourself, not the method. REALITY: People don’t always respond the way you expect or hope. Always Keep this in mind. We are all EVANGELISTS, and people are expecting us to ask for a change. Don’t disappoint them. Just remember that God gives the increase and it’s our duty to serve Him. When people see that in us, they will be more likely to respond. As mature Christians, our job is to identify with the person and take what we’ve learned in the Scriptures to lead them to the truth about Christ, which is the only true motivation that leads to conversion. Without a conversion to Christ, there is no conversion. Harmony is understanding, not manipulating. It’s sensing the tone of the situation, and comfort level of the person — And gives them enough trust to hear. Even though I haven’t found the perfect “system of evangelism,” I am still searching for “the best way” to teach. And what I have discovered along the way are elements, mostly personal (non-manipulative), that when mastered will create an atmosphere where people will listen to the Word. Here are four elements to master in acrostic form, when mastered, are the surest (and shortest) formula to long term success. A.M.E.N. These have nothing to do with systems, manipulation, or pressure. These words, elements, and characteristics create harmony. MEANING – Having a firm understanding of what you are saying and what you are affirming. [1Timothy 1:7; Hebrews 5:12] “If anyone speaks, let him speak as the oracles of God” [1Peter 4:11]. Every evangelist I have ever met wants to have more meaningful studies — and the best way to do that is to never manipulate. Manipulation makes people defensive, reluctant, and distrustful. Mastering these elements will make people attracted to you, like you, trust you, believe you, have confidence in you — and then — study with you. LAST WEEK’S article began the discussion about the problems with a personal revelation from God today. These articles are a response to those who believe, feel or otherwise think that God, Jesus or the Holy Spirit is communicating with them SEPARATE & APART from God’s written word. In the previous article, we discussed the first 2 problems. FIRST, it’s error and is contrary to God’s word about His own revelation. TWO, is the problem of AUTHENTICITY. How are we (or you) to know that this feeling inside of you is coming from God. Allow me to clarify something. I do believe that God is communicating with mankind, but that the communication is through His divine, preserved written word, as was shown in the last article. The next two problems are; REVIEWABILITY & ACCESS. First, It’s all in your head. Have you noticed that not everyone is hearing these voices? You might say that it’s a problem of “faith”, and you’d be right. But Romans 10:17 says, “faith comes by hearing and hearing by the word of God”. This means that it is YOUR faith that has trouble. For we have faith because of God’s written word. “But these are written, that ye might believe that Jesus is the Christ, the Son of God;” If this “revelation” is in your head, how are we to know what God said? Furthermore, how am I to REVIEW the information? Oh, I know a way; IT COULD BE WRITTEN DOWN. Which is what God did in the first place. Second, there’s the problem of memory. A person’s recollection of conversations is very poor. A study revealed that you remember approximately 20 percent of what you hear, 30 percent of what you see and 50 percent of what you hear and see together. Here’s a question; How much can you recall when you have at your fingertips the entire revelation of God? 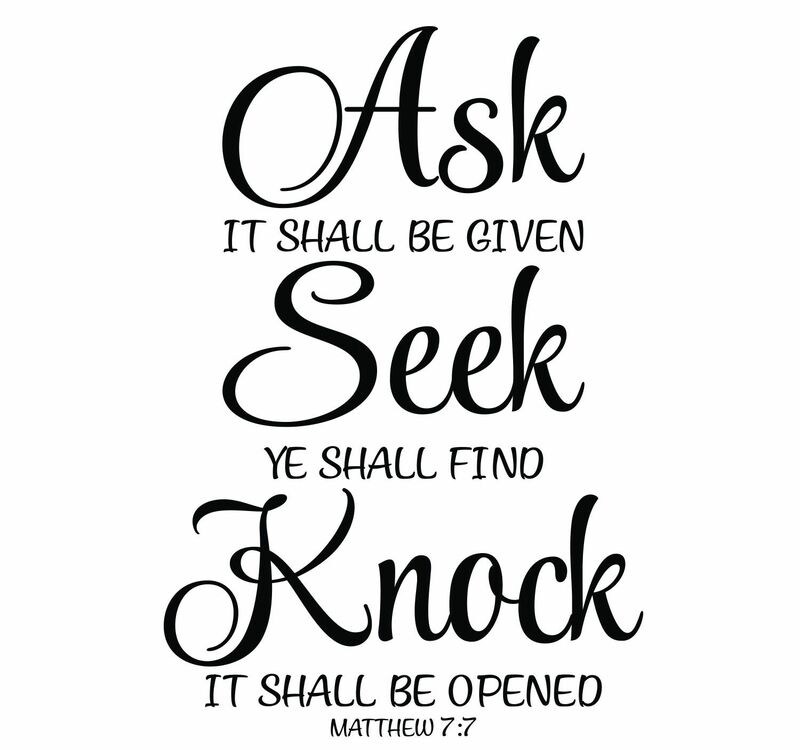 Answer: All of it, because you can look through God’s word continually. Third, human communication is difficult, even under the best of conditions. But with all the communication methods available, the only one that allows for a continual REVIEW of God’s word is when it is written. A WRITTEN WORD IS REVIEWABLE BY EVERYONE. This is what happened in 2Kings 22-23. The book of the Law was found in the temple. It was read to King Josiah (22:10), then it was read to the people, both small and great (23:2) and they could obey it. Today, we can read God’s word and understand the mystery of Christ. This is what made the Berean’s honorable. They searched the scriptures daily [Acts 17:11]. Are you going to come over to my house at 3am to let me study God’s word? What if I’m out of cell range? What about the different languages of the world? These difficulties were solved by God when He directed the inspired writers of His word to WRITE IT DOWN. 1 Corinthians 14 demonstrates the difficulties that come from oral communication. One man said to me, “you can verify what I’m saying by comparing it to the Bible.” If I must go verify it with the written word anyway, why do I need you? What does the bible say about ACCESS to His word? Well over 100x in the New Testament, both Jesus and His Apostles refer to the written word. We could continue with more scriptures to drive the point home, but these are sufficient. The question of “WHY ARE THERE SO MANY CHURCHES” now has its answer. We’re not all speaking the same thing, and the best way to become unified is when we all go back to the written Bible of God. LAST WEEK’S ARTICLE was about a man who said, “you can’t tell me that God’s not talking to me!” though I could show him, through God’s word, that God’s not talking to him separate and apart from the written word, but he just doesn’t want to hear it. He wants to do what he wants to do. Even before the article was printed, I was hearing this excuse for sin and knew that more needed to be said. So, this article could be titled; “How to stay in sin without repenting.” Allow me to illustrate the main point of this article using instrumental music (I-M) in the worship as the object. I asked them, “I’m really good at making signs, can I bring in a neon transformer, hook it up with some wires and light up a “Jacob’s Ladder” and tell everyone to start worshipping? (The Jacob’s Ladder is a high voltage climbing arc, when an electric spark jumps between two parallel wires. The spark then “climbs” up the ladder.) They had to admit that a Jacob’s Ladder would NOT be authorized, but still couldn’t see how the mechanical instrument was ALSO unauthorized. Are you kidding me?! You think that God is calling you to huge debt, to poverty, to financial struggle, to a career that may very well keep you unemployed? I’m not saying you need to be wealthy or to have a prestigious career to serve God, but don’t blame your struggles on God. The next time you want to stay in a sin, when a brother or sister comes to you about it say, “God has put it on my heart to be happy.” Which sin? Any sin. God DOES want you to be happy, but that happiness must be derived from serving Him according to His written word. What I’ve observed is that people are looking for an excuse to do what they want to do and need to ignore the written word to accomplish it. God IS CALLING people, by the gospel. “Whereunto he called you by our gospel, to the obtaining of the glory of our Lord Jesus Christ” [2Thess 2:14]. Some will ask, “didn’t Jesus say we will hear His voice?” [John 10:27] Yes, but we hear that voice through His inspired written word [1Tim 3:16-17]. Read His written word. Any feeling you have, to do something, must be measured against what God has revealed in His written word. [Ephesians 3:4]. It’s only by this comparison can we determine if this “call” comes from a study of His word or if it’s just in yourself. Keep His commandments [John 14:15]. It’s when we commit to a study of God’s written word AND doing it that sets us on the correct path of righteousness. Memorize His word. In many places, God has said, “Write them on the tablet of your heart” [Prov 7:3; De 6:8; 11:18; Prov 3:3; 6:21]. Peter sought to “remind” Christians. “I will not be negligent to remind you always of these things, though you know and are established in the present truth” [2Pe 1:12]. Not only Peter, but Paul, Timothy & Titus went about to stir up the brethren’s memory [1Cor 4:17; 2Tim 1:6, 2:14; Titus 3:1]. Conclusion: God is speaking to us, through His written word. The only way we’re going to know what God’s will is for our lives is by a diligent study of His word. He’s given us the authority to choose the details of our lives, as long as those details don’t interfere with service to Him. …but he already told me I can’t tell him, therefore I can’t. It’s sad really. Folks are so convinced of lies (I blame the false teachers in denominationalism [Mat 24:5,11]) that it’s near about impossible to convince them of the truth. In another instance, I showed a “faith only” fellow 1Peter 3:21 [The like figure whereunto even baptism doth also now save us] and asked him what it meant. He said, “I know what it doesn’t mean, it doesn’t mean you need to be baptized!” He was already convinced of what it DOESN’T mean, that he couldn’t read the words and learn the truth. It’s easier to convince a person of a lie than it is to convince them that they’ve been lied to. Rather than become discouraged, the Scriptures from God teaches us that the real problem is a lack of love for the truth. “And with all deceivableness of unrighteousness in them that perish; because they received not the love of the truth, that they might be saved” [2Thess 210]. Once the moral compass of truth is gone, then all we have left is our own lusts and desires. When the moral compass of God’s true written word [John 17:17] is ignored, is it any wonder why people are all over the map with their beliefs, worship, methods for salvation and so many other erroneous ideas? Without the truth of God’s written word, it becomes easy to be tossed about with every wind of doctrine. If God is telling men what to do, separate and apart from God’s word, then why are there over 30,000 different Christian denominations? Is God an author of confusion, does He mind that we’re all saying different things? For God is not the author of confusion.